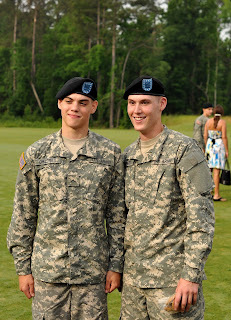 In the Army you have battle buddies. 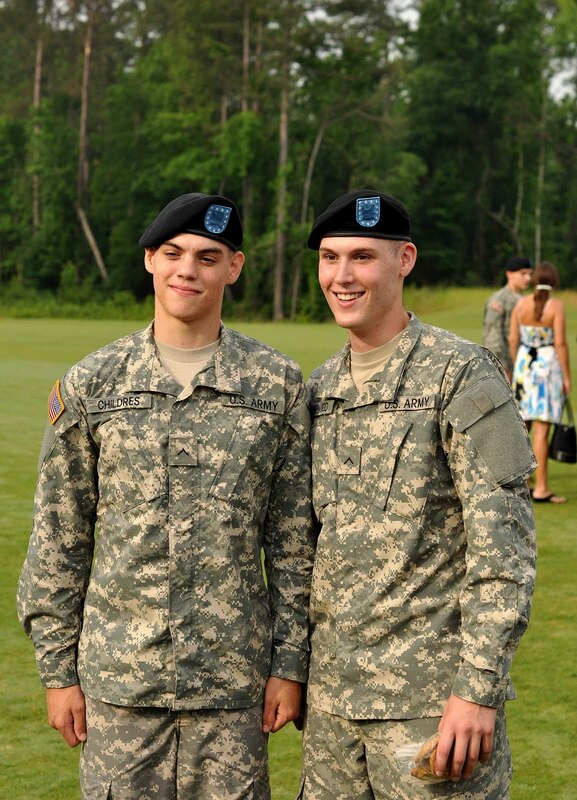 In basic training you are assigned a specific battle buddy. The purpose of the battle buddy - watch each other's back. You keep tabs on each other. If one is having trouble or is sick the other one knows about it and reports and what is happening to the drill Sergent. You don't go anywhere without each other. This is Justin's battle buddy. His name is Childres. A great soldier and friend. He could have not had a better battle buddy. I really think we all need battle buddies. Most of us don't. No one keeping tabs on us. I am thankful that I have some guys like that in my life. Do you have anyone like that in your life?